One of the trends that is occurring in organisations around the world is the devolvement and decentralisation of HR. Coupled with trends in automation and artificial intelligence (AI), this trend strongly suggests that there will be fewer human resource management professionals in the workplace in future. Recent studies have found that this trend is having a profound impact on HRM practices and is requiring more flexible, adaptive and agile forms of working and organisation. As the pace of change picks up, organisations across the globe are looking not only to deal with change in a positive and productive manner, but also improve performance, build competitive advantage, be innovative, profitable and sustainable. As a result, organisations and companies are constantly reaching out for methods to enable them to achieve these results, in what are often hypercompetitive and fast-moving contexts. 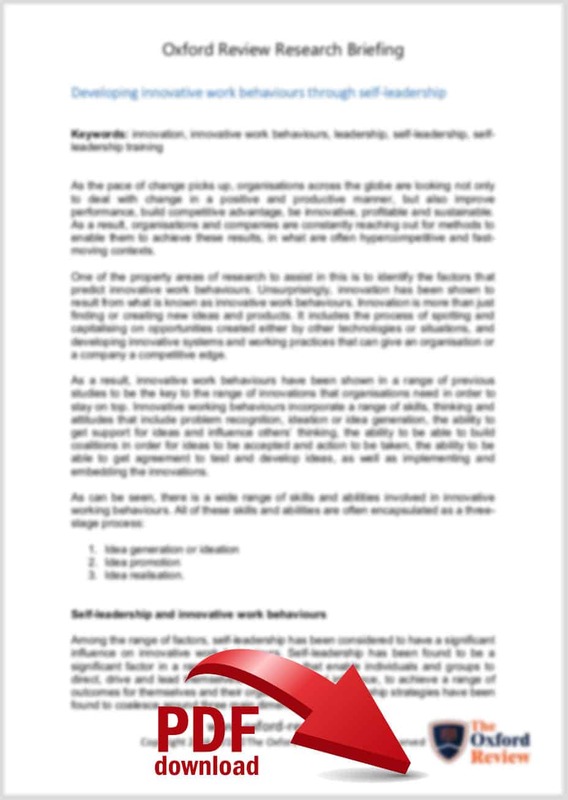 One of the main areas of research to assist in this is to identify the factors that predict innovative work behaviours. Unsurprisingly, innovation has been shown to result from what is known as innovative work behaviours. Innovation is more than just finding or creating new ideas and products. It includes the process of spotting and capitalising on opportunities created either by other technologies or situations, and developing innovative systems and working practices that can give an organisation or a company a competitive edge. There are too many leadership concepts… but which ones are redundant?